For the criminal trial lawyer, the Casey Anthony verdict was the result that made it difficult to counsel clients on whether to accept a negotiated plea rather than risk a trial against an overwhelming case. Several colleagues have told me that clients have balked in the face of solid legal advice, reasoning “that girl in Florida got off.” Amanda Knox is, I fear, the appellate lawyer’s Casey Anthony. It does not matter that it’s a different legal system in a foreign country. The comparisons are coming. It is time to prepare with some key points when you face the inevitable comparisons. How do personal injury victims process Amanda Knox’s win on appeal? This concern is, I think, equally applicable for clients of malpractice and accident lawyers. Amanda Knox, from a distance, represents what everyone wants in the appellate process: you keep appealing and appealing until you win and that appellate win is final. Sometimes, not just in law but anything, getting a little information about how the sausage is made can cause more harm than good because you lack context. There is, as always, a good cliché on point: a little information can be more dangerous than no information (or something like that). 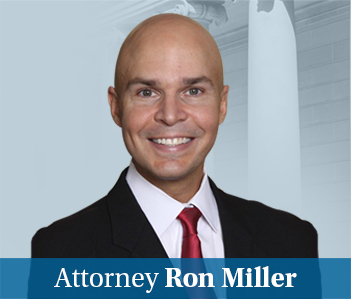 The reality is that tort appeals are hard for both sides because most of the rulings from the trial judge to which plaintiffs’ lawyers take exception are evidentiary issue where the standard on appeal is abuse of discretion. That’s a tough road to travel after a defense verdict. We have done it successfully but most personal injury trials do not end with a quality appealable issue. Moreover, this is not Italy. Appellate courts here do not carry the ball and make the ultimate decision. No appellate court awards money. In personal injury cases, you are almost invariably left with trying your case over again. My partner and I once tried a case four times: (1) loss that was overturned on appeal, (2) mistrial (hung jury), (3) mistrial (defense lawyer sick), (4) defense verdict. (Thankfully, before Trial #3, we agreed to a high/low.) But after the first trial, I told my partner after talking to the jury that we would never get anything more than a mistrial in this case. The point is that if the jury rejects your case, the basis for the retrial might not change the fact that the jury does not like your case. 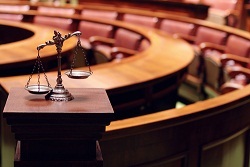 In most personal injury cases, the best way to maximize the value of your case is to take that case to trial. But trials come with risks and the risk for our clients is walking away with nothing. Even in cases where it is a risk worth taking, it is important for clients to understand that there is a risk that likely will not be solved with an appeal. Attorneys really have to caution their clients not to fall into a trap of thinking they can “keep rolling until they get an eleven” because it is not reality.